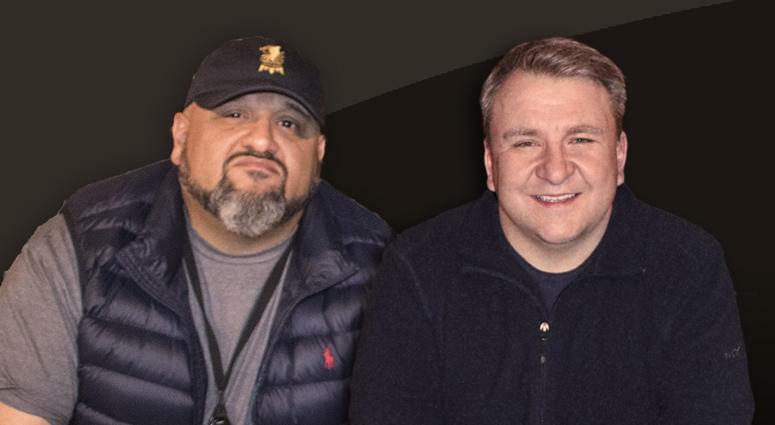 Damon Amendolara, known by his fans as D.A., hosts his evening program where he provides a mix of the latest sports news, discussions and controversy, in addition to interviews with tastemakers from the sports world and calls from his avid listeners across the country. Sportscaster Damon Amendolara, known by his fans as D.A., hosts “The D.A. Show,” CBS Sports Radio’s evening program, heard from 6:00-10:00PM, ET, across the country on the nation’s largest 24/7 major-market radio network. “The D.A. Show” is known for its unique dynamic of sports analysis, in-depth discussion, colorful listener calls, and insight from insiders and experts from the sports world. Along with his duties at CBS Sports Radio, Amendolara also appears regularly on NFL Network as part of the “NFL Top 10” documentary film series, and on Sports Illustrated’s “SI Now” program. Prior to hosting the evening show, Amendolara hosted the overnight program on CBS Sports Radio for two years. Beginning in 2009, Amendolara spent four years in Boston as host of the evening show on CBS RADIO’s 98.5 The Sports Hub. Before his stint in Boston, he hosted evenings at WQAM in Miami from 2008-09, and the morning program in Kansas City at 610 Sports from 2003-07. He was also the sideline reporter for the New England Revolution on Comcast, and was a frequent guest and fill-in host for CSN’s Sports Tonight/Sports Sunday. Amendolara is an acting member on the board for Boston’s Room to Dream charity, which transforms the environments of chronically-ill, inner-city or suburban children. He also spearheaded the “Team D.A.” charity, having raised funds for causes like the Boys and Girls Clubs, the Bridge Home, the KCMO Little League and Big Brothers/Big Sisters. Team D.A. also organized a summer soccer camp for underprivileged youth in South Florida with coaching by Miami FC professional players. Amendolara began his career at 1040 WYSL in Rochester, N.Y. and Sportsradio 770 ESPN in Ft Myers-Naples, Fla. He graduated from Syracuse University in 2001. While at the ‘Cuse, he was Sports Director at WAER Radio, following in the Orange footsteps of Marv Albert, Mike Tirico and Bob Costas. Amendolara is a native of Warwick, N.Y.